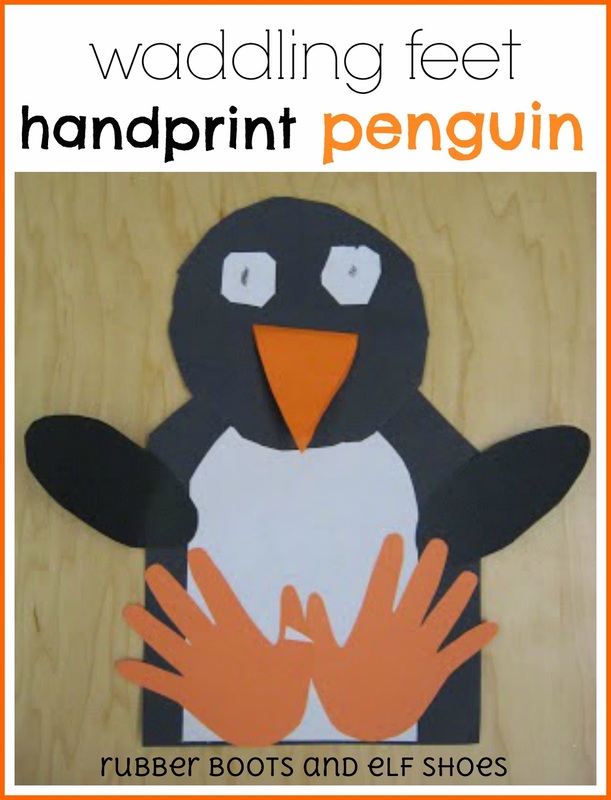 We made some pdc (pretty darn cute) handprint penguins. The kidlets started with all the "ingredients" to make a penguin. They had to cut "curvy corners" for the black body, white tummy and white eye papers, trace and cut out a circle for the head and then put everything together to create the penguin. I love it when the kids' personality and creativity come out in what they create, even when they all start with the same raw materials. Adorable! You got the most clicks this week at the Thoughtful Spot. Congrats!